Ballpark eats have gone far beyond meat on a stick or a dog between buns, with stadiums now offering a host of unique treats fans can enjoy while rooting for the home team. 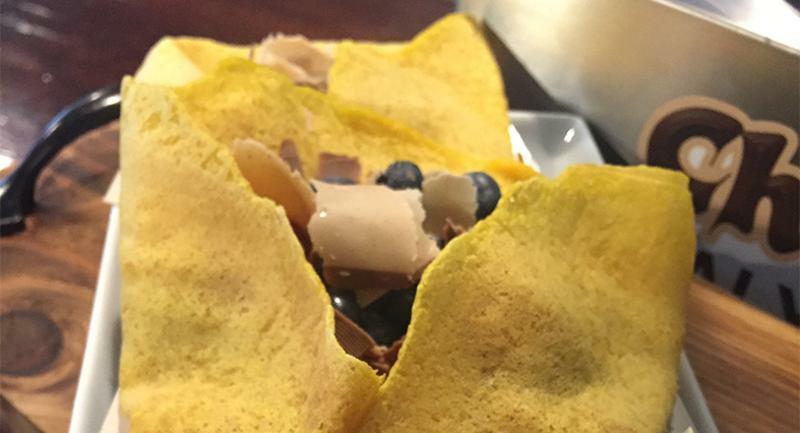 Here’s a look at four bites switching things up this season. 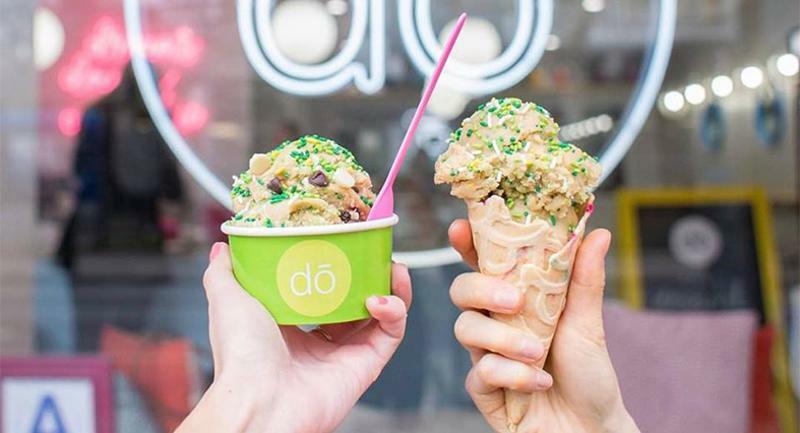 Forget cookie dough ice cream—Citi Field in Queens, N.Y., is upping the ante with edible cookie dough cones from DO, the NYC cookie dough shop known for two-hour wait times and lines down the block. Going beyond melty ice cream, the solid dough served in waffle cones is an on-trend treat that makes for less mess on hot summer days. Two stadiums are debuting savory-meets-sweet concepts this year, ditching sandwich bread in favor of funnel cake protein carriers. 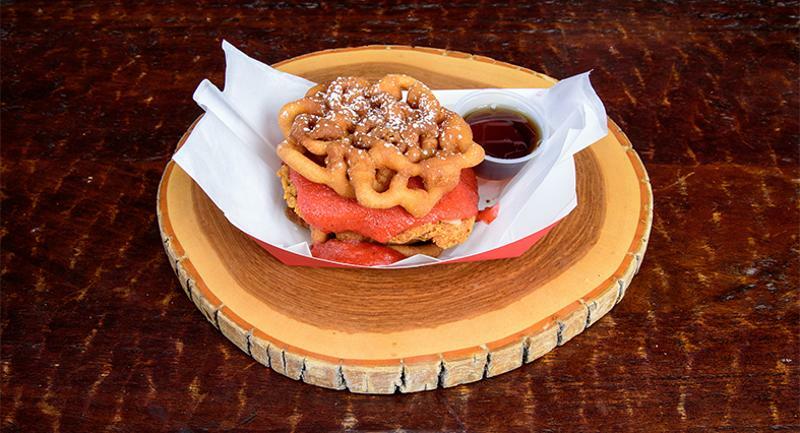 At Chase Field in Phoenix, home of the Arizona Diamondbacks, guests can feast on fried chicken topped with garlic black pepper cheddar, strawberry jam and maple syrup wedged between two funnel cakes. Kansas City Royals fans at Kauffman Stadium top their fried dough with pulled pork, fried onion, shredded cheddar and Monterey Jack cheese with bacon; if that isn’t enough, they can crown the whole concoction with a jalapeno popper skewer. For gamegoers seeking a healthier option still packed with protein, a poke bowl at Dodger Stadium in Los Angeles could fit the bill. 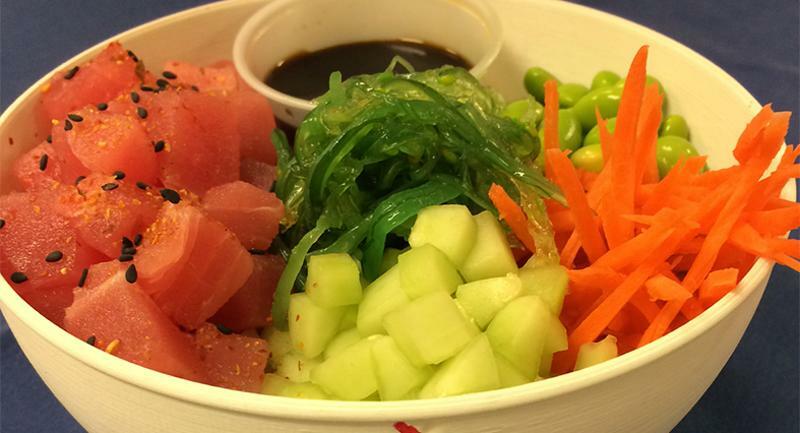 Served in a baseball-shaped dish, the ahi tuna comes with vegetables, edamame and a soy dipping sauce. 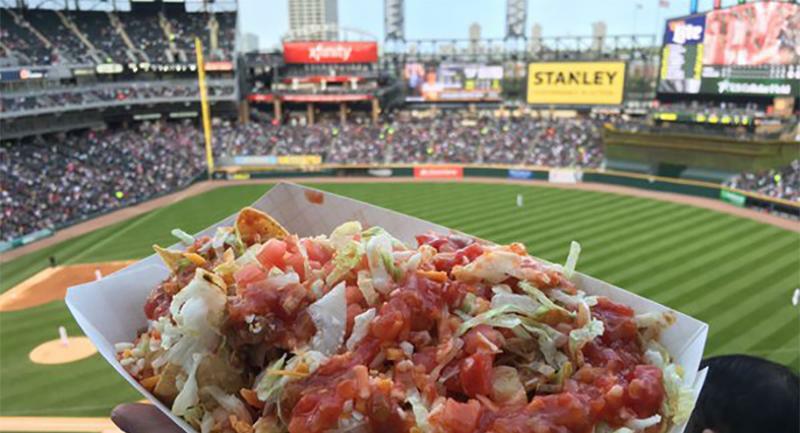 Will these new ballpark foods be a hit? Fans in the Club Level at Guaranteed Rate Field, home of the Chicago White Sox, can satisfy a sweet tooth at the new Choco Kebab, featuring 22 pounds of rotating chocolate that is shaved to order and served on fresh crepes. Imported from Italy, it’s the only Choco Kebab in Chicago and one of just 20 in the country, giving Club Level guests a semi-exclusive sweet treat.